After we looked through all her photos (which included shots of the designer wearing an enormous Atlanta Braves #1 foam hand at the weekend game) we picked our favorites, and a theme emerged! Bespoke accessories with a quirky uniqueness that would make a space feel eclectic, well-traveled, and personal. 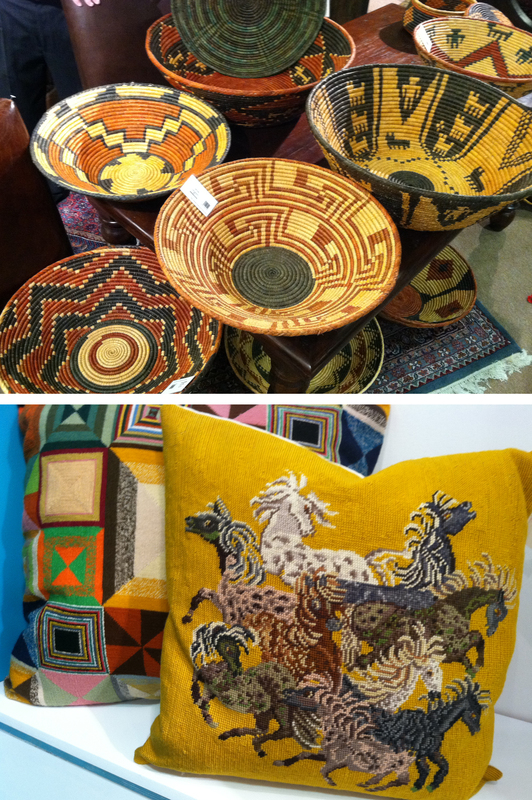 These baskets from Silk Route caught our eye with their intricate patterns, and careful craftsmanship. They are like little works of art. Check out this cool find… these needle point pillows from August Morgan. You have never seen a range of one-of-a-kind pillows like this before… at least, we hadn’t. Check out the needle work, the amazing colors, and the detailed pattern play. Deb snatched up this wild horse pillow for her own home… but there are plenty more fabulous finds for the rest of us that will soon be hitting the J Banks retail store! 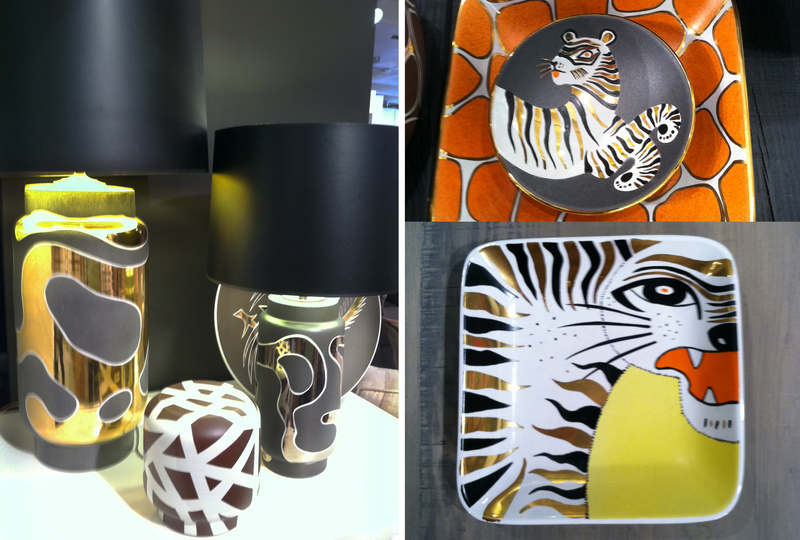 Another highly unique line of accessories that we discovered originally at the New York Market is Waylande Gregory. Waylande Gregory was a prolific artist in the Art Deco period. He was a careful ceramic craftsman who ground and mixed all of his own glazes. His innovation and uniqueness made design history. In recent months revivals of his work have been appearing in magazines (such as House Beautiful), on retail floors (such as ours at J Banks), and on designer’s wish lists (such as this one.) His designs also come in seductive shades of red, luxurious hues of green, and royal tints of blue. We loved the new patterns! Once again, the Atlanta Market does not disappoint. We hope you enjoyed this little peek into these high design finds. Did you go to market? Share links to your own photos with us! We’d love to see what caught your eye.